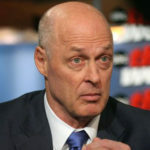 Henry Paulson Jr., former US Secretary of the Treasury, Chairman & CEO of Goldman Sachs, author of On the Brink, and currently Chairman of the Paulson Institute, discusses common characteristics of successful individuals with Russell Sarder, CEO of NetCom Learning. Paulson stresses the importance of learning and intellectual curiosity as key to personal success. He also discusses important qualities that it is important to possess or work on to achieve success. Previous VideoIs the current educational system affecting the skills gap? Next Video What is your Definition of Learning?